Vinylbrokers is much more than a classic record store. Most people thought we were completely mad when in 2006 on the eve of global finacial melt-down, and half-way into the digital revolution we considered the idea to open a niche vinyl store. The vision of founders Paolo Rey and Alex De Ponti, was to find a new way to sell vinyl: delivering a vast inventory of second hand vinyl and allowing people to buy them at bargain basement prices, even competitive against the onslaught of MP3. Turned out that vision as a winning formula: today Vinylbrokers is reknown to an international audience, as well as simultaneously facilitating low-cost access to new generations of vinyl lovers. Thanks to a monthly turnover of over 10,000 titles, the majority of which are original US pressings, every week the shop has enough new titles to feed even the most voracious of vinyl-addicts. No mean feat for a small independent store. On the shelves of this popular underground hangout in the depths of urban Milan, browsers pull every musical genre imaginable from soul to jazz, rock to disco-funk, pop to dance and electronic music of today, both as 12’ singles and LPs. 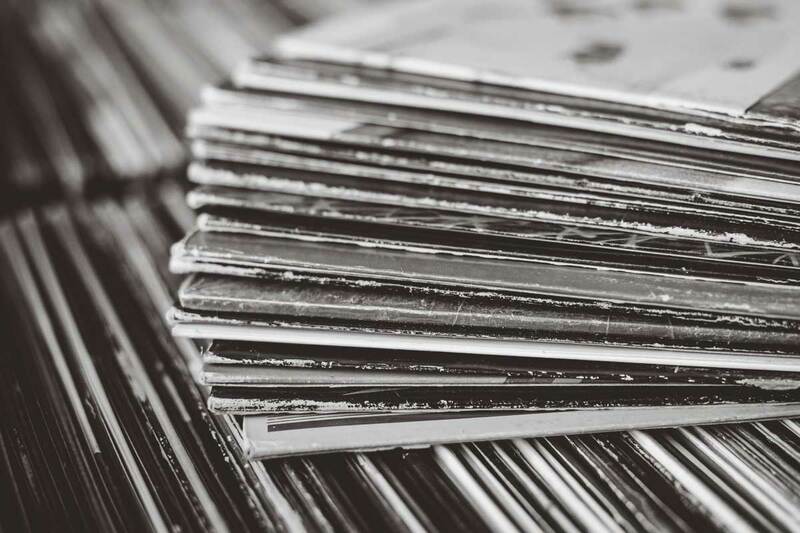 There is also a section dedicated to new releases, classic repressings and new albums of artists and labels still investing in the plastic medium.